Where have all my bras gone? Ah my little Whovians. They love a Dr Who alien. 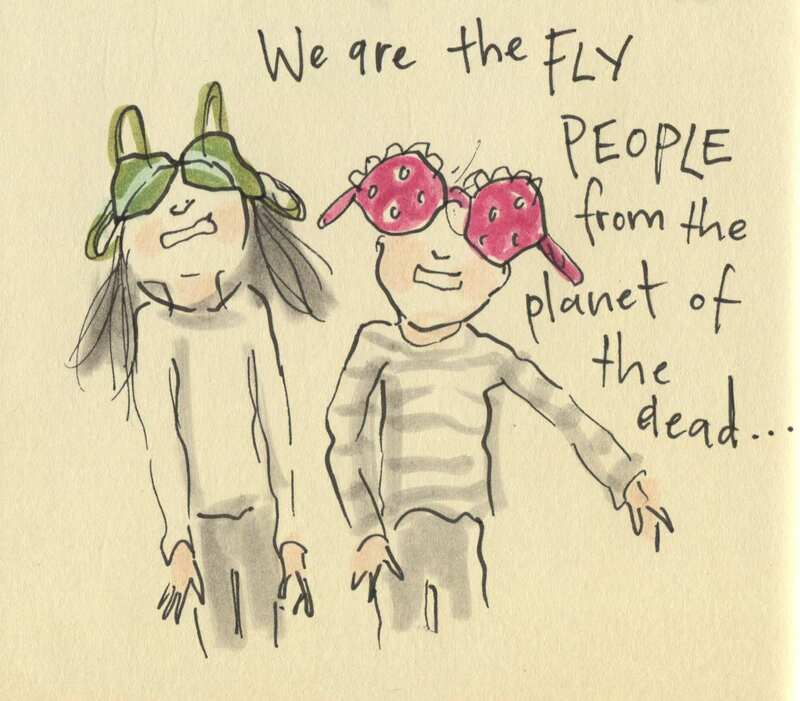 Posted on April 8, 2015, in Uncategorized and tagged bras, Children, Doodlemum, Dr Who, Drawing, Humour, Illustration, Life, Pen and Ink, Sketchbook. Bookmark the permalink. 15 Comments. Haha! This cracks me up as this is a common theme in our house. Especially with my four-year-old son! Another generation of Whovians. Marvellous. They’ve seen that one too 😀 !! This is absolutely bloomin’ fantastic- I can’t type for laughing! Dr Who is far too scary for me, and up unto today, I have always viewed bras as instruments of torture. Thank you for showing me that neither has to be frightening! Though a Yank, I must respect my fellow Whovians. Very…innovative…. Absolutely hilarious! Like Wendy (above) I find Dr Who scary and couldn’t enter a Dr Who exhibition with my kids because there was a Cyberman (they scare me most) standing at the entrance, they had to go in with their dad. I still would like my bras back though!